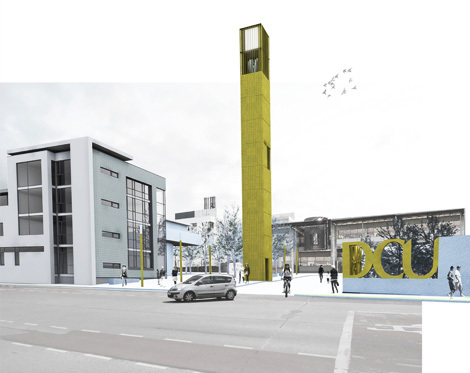 The proposal provides Dublin City University (DCU) with a new symbolic entrance. A golden tower which houses a ceremonial bell. 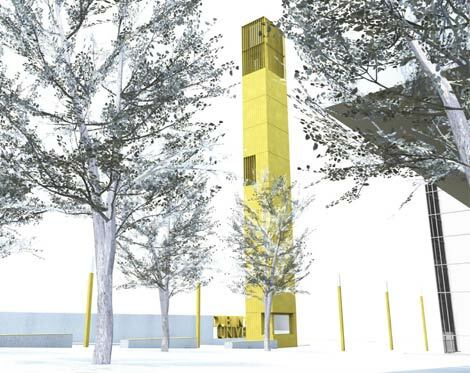 The bell tower will be a strong visual marker on the street and across the city. 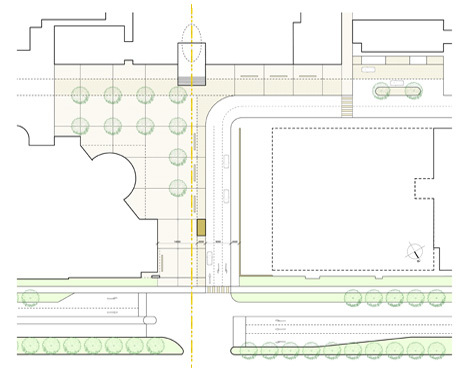 The new square deals more effectively with vehicular and pedestrian traffic, while at the same time providing a more inviting entrance sequence on to campus. 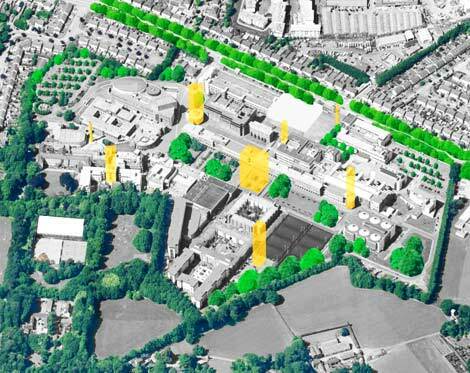 The project also facilitates a more generous sense of approach to DCU by the means of a newly tree-lined Collins Avenue. 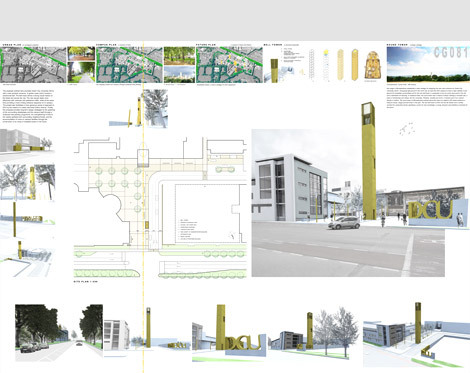 Finally, this proposal provides long-term design strategies for the greening of the surrounding streetscape and the campus itself through a sustained tree planting programme, the strengthening of links to the nearby parkland and surrounding neighbourhoods, and the accommodation of more on campus facilities through the construction of an array of inhabited towers in the future. Occupying high ground in the north city, we felt it important that the campus has a clear identity in and beyond its immediate surroundings. In medieval times, the round tower was a means of clearly marking a monastic site, a place of scholarship and retreat; the first university. Timeless, durable and iconic, it remains part of our cultural identity in Ireland. The round tower at Monasterboice stands above the trees at a height of 28 metres acting as a treasure house, refuge and bell tower in the past. 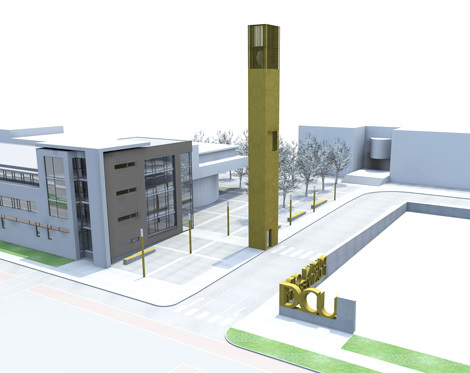 The new bell tower at DCU will rise 36 metres signifying a centre for new knowledge; a young, dynamic and ambitious university for the future.